The project, proposed by the Center for Strategic and International Studies (CSIS; www.csis.org) in Washington, DC, will focus on detailed examination of future scenarios in six areas: labor mobility; energy; the environment; security; competitiveness; and border infrastructure and logistics. Obviously, fresh water supply is important. Here is a snippet of what the report says about fresh water. "Fresh Water: Fresh water is running out in many regions of the world—be it the water in rivers, lakes, basins, aquifers, or watersheds. Therefore, communities throughout the world will be seeking alternative water sources, and North America will by no means be exempt from this looming problem. North America, and particularly the United States and Mexico, will experience water scarcity as a result of arid climates coupled with growing populations and increased water consumption. fresh water, water conservation technologies for agricultural irrigation, and urban consumption. Even though several agreements pertaining to surface water and water quality are in place between the three countries, little or no policy has been formulated regarding groundwater. The United States and Mexico share at least 18 aquifers, and a significant portion of these countries’ population is already experiencing problems with the availability and contamination of water. pressures over this priceless resource. As part of the North American Future 2025 project, CSIS will examine surface water and groundwater trends in North America up to the year 2025 as well as their overall implications for the stability and security of the hemisphere. A better understanding of projected trends in the global and North American hydrologic cycles will enable policymakers in Canada, the United States, and Mexico to be better positioned to think more strategically about this resource." A recent article in the EUobserver (euobserver.com/875/23634) described how the European Union plans to use water as an implement of foreign policy. Specifically, the EU is targeting Central Asia, the Middle East, and the Western Balkans. With respect to Central Asia, the EU cites "environment" and "water management" in an effort to bring "security and good governance" to the region to create a "ring of well-governed countries to the east of the European Union". The EU plans to spend about 719 million euros (almost $1 billion at today's exchange rate) of its Central Asian budget from 2007-2013 on funding new water infrastructure and environmental education. It also wants international banks to provide some funding as well. There is a lot to be done in Central Asia. Everyone knows about the disaster that has befallen the Aral Sea, although the northern Aral Sea is apparently coming back. In my earlier post (12 March 2007) on Lake Balkhash, I reported that China and Kazkhstan are fussing over flows into the lake: Kazakhstan wants unimpeded flows, China wants to divert water. The aforementioned EUobserver article cited Afghanistan's claim to water from the Amu Darya's downstream waters as a potential flash point. Uzbekistan and Turkmenistan might not find much to cheer about should Afghanistan act on its claim, and would likely find such an act a hostile one. When it comes to Central Asia, the EU's actions are not simply about altruism, and promoting good governance and harmony. 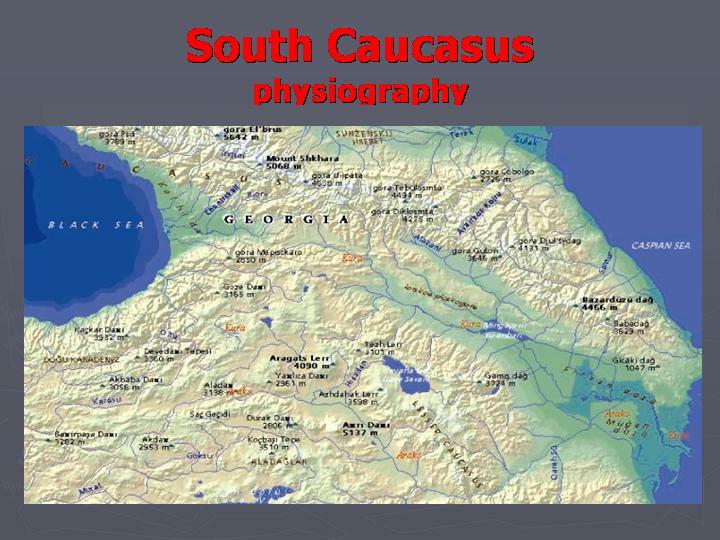 There also happens to be the issue of energy resources: The former Soviet republics of Central Asia, mainly Kazakhstan (oil, gas, coal) and Turkmenistan (gas) - have lots. The EU wants access to these resources, so Russia cannot use its gas and oil as a weapon. Russia, of course, does not relish EU (or USA) hegemony in Central Asia, nor does China, for that matter, as it lusts for the same energy resources. 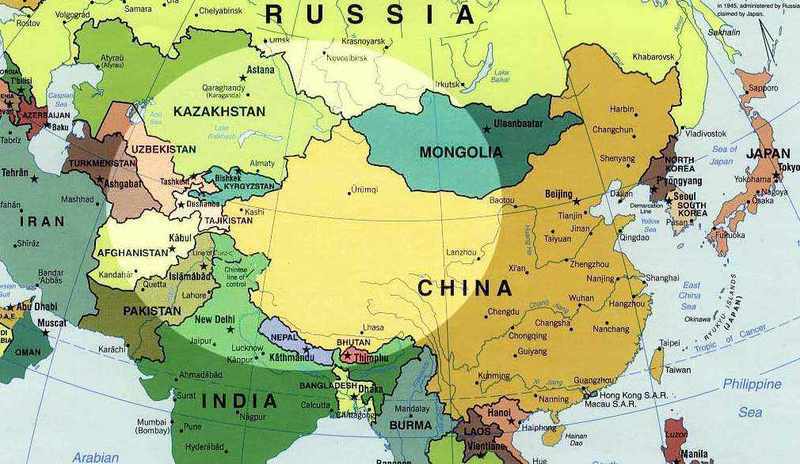 In fact, the two have formed the Shanghai Cooperation Organization, a regional economic and security consortium to counter the West's efforts in Central Asia. NATO is also casting its eyes eastward. Last June, it sponsored three workshops in Almaty, Kazakhstan. One of them, which I attended, dealt specifically with water security in Central Asia. One of my Russian colleagues asked "How does it feel to be a pawn in the new 'Great Game', my friend?" He was referring to the 19th century "competition" between Russia (which they called the "Tournament of Shadows") and Great Britain for influence in that part of the world. So it is in the EU's and USA's best interests to keep the lid on in Central Asia, have the locals avoid conflict, and keep that oil and gas flowing. 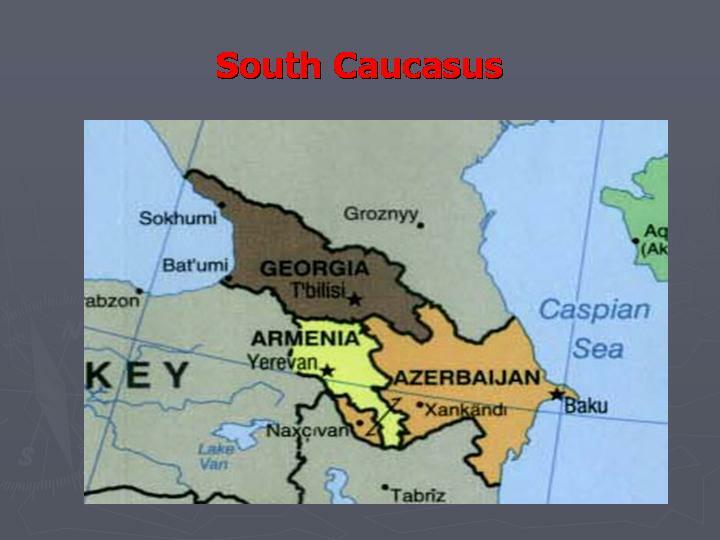 Now, what about the South Caucasus? That'll be coming soon. "The optimist learns English. The pessimist learns Chinese. The realist learns Kalashnikov." -- Dr. A. Saghatelyan, an Armenian colleague of mine. I remember the first Earth Day in 1970. At the College of William and Mary in Virginia, I helped build a dam. Nice, huh? Actually, it was to prevent the pollution of a stream from sediment produced by construction. It's been all downhill since then. What an appropriate post for Earth Day - Las Vegas and water! On 16 April 2007, Nevada State Engineer Tracy Taylor announced that the Southern Nevada Water Authority (SNWA), which supplies water to the Las Vegas (southern Nevada) area, will get to pump only 40,000 AF (acre-feet) annually, instead of the 91,000 AF it had requested, from Spring Valley, which is in White Pine County near the Utah border. A pdf map of Nevada's hydrographic basins can be dowloaded below. Spring Valley is #184, in the east-central part of the state. Las Vegas Valley is #212 in the southern part of the state. 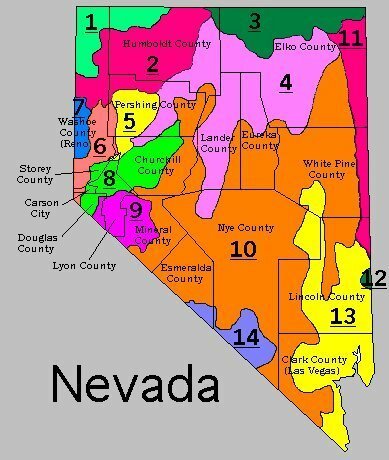 Here is a map of Nevada's hydrographic regions. Spring Valley is in the eastern portion of the Central Region (#10). According to a 16 April 2007 article in the Nevada Appeal, Taylor said that after the initial 10-year pumping period, the SNWA can pump an additional 20,000 AF/year, provided monitoring has not indicated any adverse impacts. Taylor also said that the SNWA's pumps will have to be turned off if existing wells and water rights are adversely affected. Critics wondered whether Taylor would really turn off the pumps. Some wondered whether this reduced allotment would still make for a cost-effective plan. The SNWA receives Nevada's entire annual allotment of 300,000 AF from the Colorado River and has maintained that further growth in the Las Vegas area beyond about 2014 will require additional supplies. It does not appear likely that the other Colorado River Compact states (CA, AZ, NM, UT, WY, and CO) will provide any more water to Nevada. SNWA General Manager Patricia Mulroy has lobbied unsuccessfully for a change in the compact to allot more water to Nevada. In 1922, when the seven basin states divided the Colorado's water, who could have imagined that there would be about 1.5 million people in southern Nevada in 2007. The SNWA already owns rights to 10,000 AF per year in Spring Valley, and so with the additional water rights granted by the State Engineer, reuse and recyling, the SNWA expects that they will be able to provide an additional 120,000 AF annually to the Las Vegas Valley. Deliveries are expected no earlier than 2014. "If at first you don't succeed, transform your data set." Ethanol, Corn, and Water: Unintended Consequences? Ethanol production from corn is a growth industry these days. A visit to the Renewable Fuels Association WWW site (www.ethanolrfa.org) indicated there are 115 ethanol refineries online and 86 more under construction. Many of these refineries are in the USA's Midwest/Great Plains states - the "corn belt". Iowa alone has 42 refineries in existence or under construction (www.iowarfa.org). A few months ago I heard a reputable scientist state that if all the planned ethanol plants for Iowa are built, then that state will become a corn importer. Some are forecasting a possible glut of ethanol plants, but that's not my concern in this post - water is. It takes about 4 gallons of water to produce one gallon of ethanol. In its 15 April 2007 issue the St. Louis Post-Dispatch ("States across Midwest brace for water-guzzling ethanol plants") discussed some of the refinery impacts on water in five states: Illinois, Iowa, Nebraska, Kansas, and Minnesota. The issue is not simply the amount of water an ethanol refinery uses, but the increase in water use required by switching from something like soybeans to corn; the latter requires more water than soybeans and other crops. Illinois has 8 ethanol refineries with 34 more proposed. In Minnesota, the Granite Falls refinery, buoyed by an overly-optimistic assessment by the state, started pumping 200 mgy (million gallons per year) from the local aquifer, only to discover that the state's estimate of the water availability was incorrect. They now tap the Minnesota River for some of its water. Another issue is pollution. In Iowa there have been some instances of water pollution from refineries. But another more insidious problem deals with the switch from soybeans to corn. Soybeans are nitrogen-fixers and require less fertilizer than corn. That means farmers who switch to corn may not only be increasing their water use, but may also run the risk of polluting ground water and/or contributing to algal blooms in surface water because of increased fertilizer use. Let us not forget the hypoxia in the Gulf of Mexico, exacerbated by nutrients in runoff derived from Midwest farms. And, since much fertilizer comes from natural gas, what was that about reducing our dependency on foreign energy? The concern over increased ground water pollution from fertilizers was related to me by a couple of Iowa well-driller colleagues of mine at a recent National Ground Water Association meeting in Washington, DC. They are seeing more farmers make the switch to corn from soybeans, and the pollution issue concerns them more than the increased water use. In our rush to reduce our dependence on foreign oil by increasing ethanol production, we need to be cognizant of one thing that always lurks in the background: the Law of Unintended Consequences. Global Warming: Water and Other Wars Looming? "Water wars" always make good copy. I came across a couple of articles from Newsweek and Reuters that discussed global warming and how it might lead to more conflict, not just about water. Not exactly light reading, but essential for my fellow water wonks.